Leaving Idaho Falls to Yellowstone National Park. I didn't do much driving today. I decided to rest and do camping. 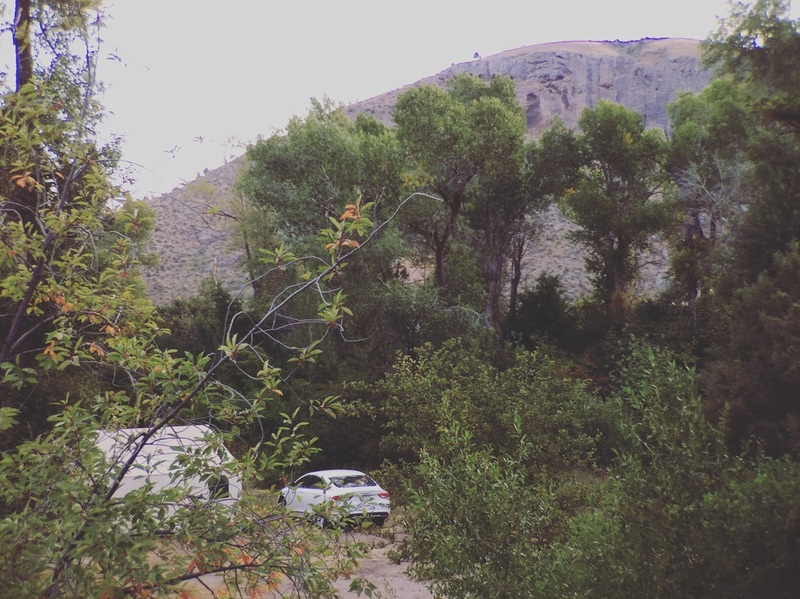 Found a campsite via Airbnb by the river, 1 hour south of Grand Teton. Route 26 has a beautiful scenery toward the campsite. At the campsite it was a difficult decision where to set the tent. Next to the roof deck, on top of the roof deck or the opposite which underneath the tree. Underneath the tree was the best choice, got some shade and at night it'll block the wind and warmer than outside the open area. Beautiful sunset and listening to water flowing is so peace and calm. And of course we have neighbors too. You can reserve the site with tent or cabin. And you probably wondering where is the toilet and shower? It's a portable potty, doesn't smell and outdoor shower with hot water, pretty cool except it gets cold so dress quickly. For dinner, I bought KFC from Idaho Falls.